•EASY CARRY-This folding electric scooter, only 16.7pounds, is just what you need to zoom around town. Perfect for fun, recreation, or even commuting to school or work. Conveniently 1second folds into tight space to store in trunk, hatchback, or simply carry by hand. 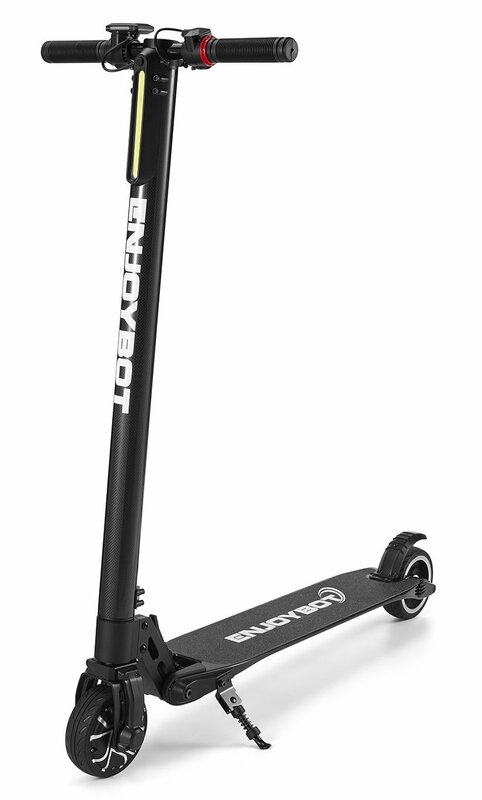 •MORE POWER-Enjoybot H3Pro Electric Scooter has 250W powerful motor with noiseless that help it climb slopes as steep as 20degree and 18miles max. range on a single charge. •SMART DISPLAY-The control panel allow you to check the speed level, battery remaining capacity & running time & current speed. •SAVE ON GAS- Save lots of money and time by taking this scooter along with you on the train, subway, or bus. Now you can step off the bus with this light scooter and quietly zoom to your final destination. •1Year Limited Warranty covers parts and labor from the manufacturer; Service after sales in CA, United States. The Enjoybot is offered with a limited one year warranty.The warranty covers material or workmanship defects that arise with your product due to a manufacturers defect. This policy ensures this is your best bet for a no-risk purchase. ENJOYBOT FOLDING ELECTRIC SCOOTER- Enjoy Ride, Enjoy Fun. OUR FOLDING ELECTRIC SCOOTER is very well built and safe for use by both adults and children. 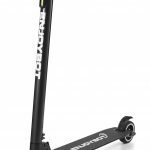 This makes a great way to get to work or school while saving lots of money on gas and wear and tear on your car, It also works well for taking to nearby shopping areas,just right for car train, bus. The way this scooter folds up makes it very easy to carry in your car or on public transportation. Or fold the scooter and place it in your trunk, hatchback, or back seat. CONVENIENT HANDLE BAR CONTROLS make this scooter very easy to operate. Includes a convenient power switch and throttle control mounted on the handle bars. Use the throttle to power the scooter. Also a rugged hand brake that helps you stop the scooter safely and securely. I would like to know more about your products and your company, do you have factory and where ? Horrible quality. Dead in 4 month. Battery last for only several minutes ride most of the time.